Though easy to make and cute to look at, they don’t hold heat well and need to be served soon after they’re made. I tossed mine with a little white truffle oil and sea salt and served them with a side of my homemade ketchup. Floury potatoes like Russet. Figure one potato for every two people. I used a small pot so I could use less oil and fried multiple batches. I kept a plate lined with paper towels nearby and the oven on warm with a foil-lined baking sheet inside. You want about 1 inch of oil in the pot. 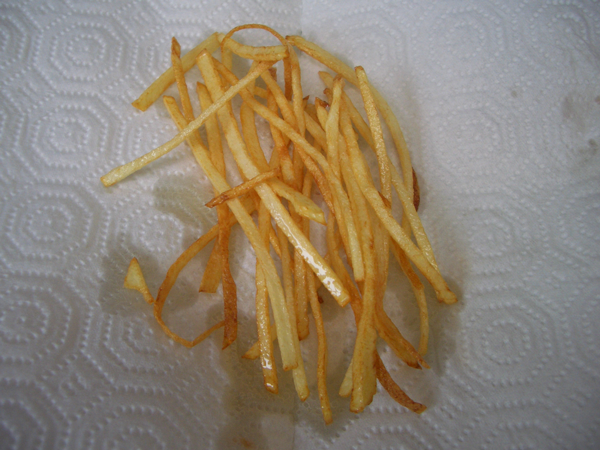 These fries are very delicate so they don’t need deep oil. 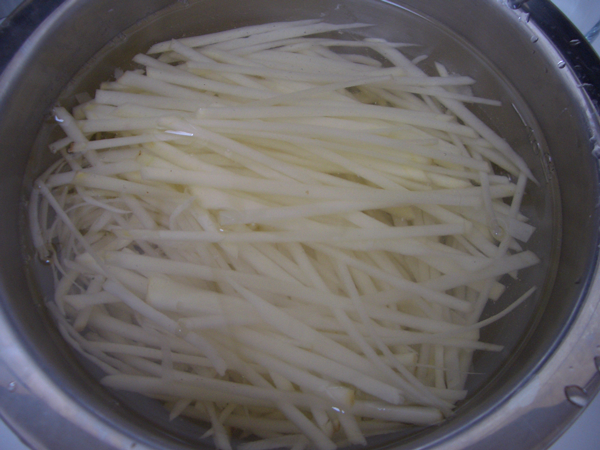 Cut the potatoes into thin slices then into matchsticks-width pieces. 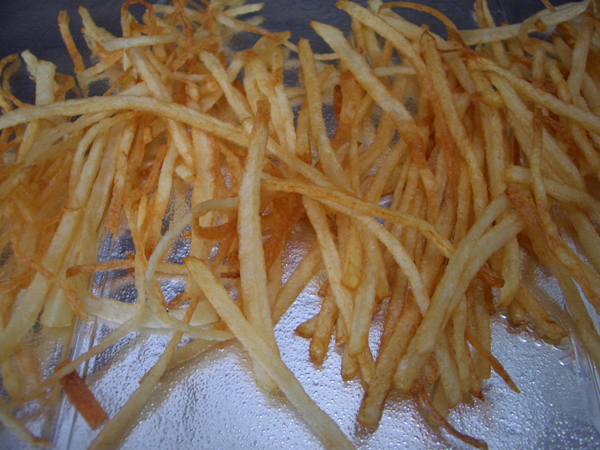 If not frying right away, keep the potatoes in a bowl of water to keep them from discoloring. Make sure to thoroughly pat them dry before frying so you don’t get splattered when the water hits the oil. Bring the oil up to temperature over medium high heat. You’ll see the oil start to ripple in the pan. Drop one of the potatoes in the oil. It should immediately start to bubble rapidly and should cook to a light golden brown within 2-4 minutes depending on how big you cut your fries. If it just sinks and bubbles a little or not at all, the oil isn’t ready. Fry the potatoes until they’re crisp and lightly golden. Remove the potatoes with a slotted spoon or tongs and transfer to the paper-towel lined plate. If frying multiple batches, add the next batch and move the first to baking tray in the oven, etc. 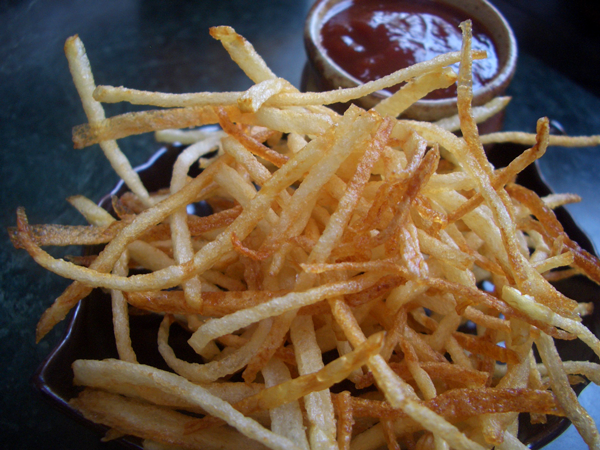 When finished frying, sprinkle the fries with a little salt and truffle oil (if using) and serve immediately.